Fairly quiet again today with the trade taking an interest in the amount of rainfall across the Liverpool Plains and Darling Downs. Gunnedah 13mm, Carroll 20mm, Mullaley 12mm, Boggabri 1mm, Bundella 0mm, Red Bobs 13mm, Narrabri 0mm, Bellata 1mm, Ashley 1mm, Dalby 10mm, Jimbour 32mm, Macalister 12mm, Brookstead 15mm. Bids for new crop sorghum off the Liverpool Plains were pretty much unchanged from Friday at $392 delivered Tamworth for April / May 2019. 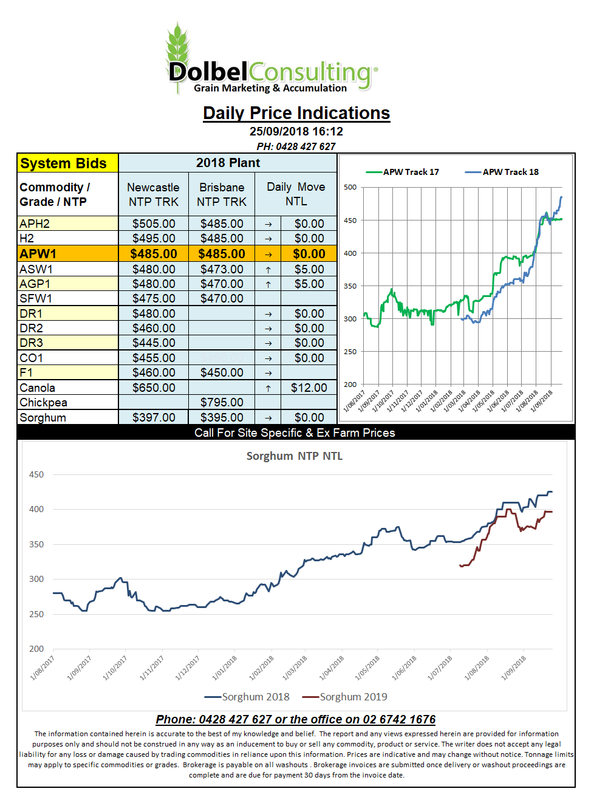 New crop track bids are steady at $397 less rail. So about $367 delivered Graincorp Spring Ridge, or $355 ex farm whereas the $392 delivered Tamworth would come back closer $375 ex farm central LPP. 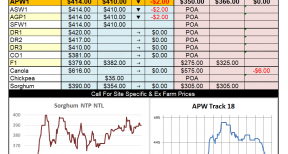 New crop F1 barley is bid at $440 delivered LPP Nov / Dec while new crop wheat is bid at $450 delivered Tamworth. 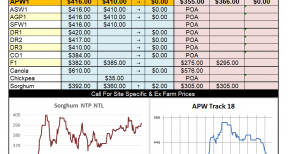 So wheat is showing a premium of about $58 over new crop sorghum. That spread is narrowing a little but still excessive given our current circumstances. The wheat numbers are starting to say that unless international sales slip below 10mt we may find ourselves in an east coast supply pinch around the 3rd quarter of next year. 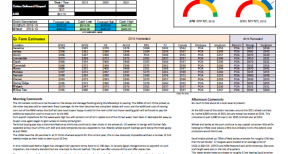 At the current expectation of 12mt of exports we may find ourselves shy domestic demand by around 500kt.